– When you google Lofoten, you will see pictures of the red wooden houses in front of mountains which’s peaks remind of the form of a thimble. But there is more to see on these islands. We started driving right after picking up our rental car one of the days last November. The vision that met us when we left the city were nothing like the streets of Bergen. Gradually tropical beaches with turquoise water that invite you to swim, surround you. But then you realise, this is the Artic sea and Lofoten is close at hand. 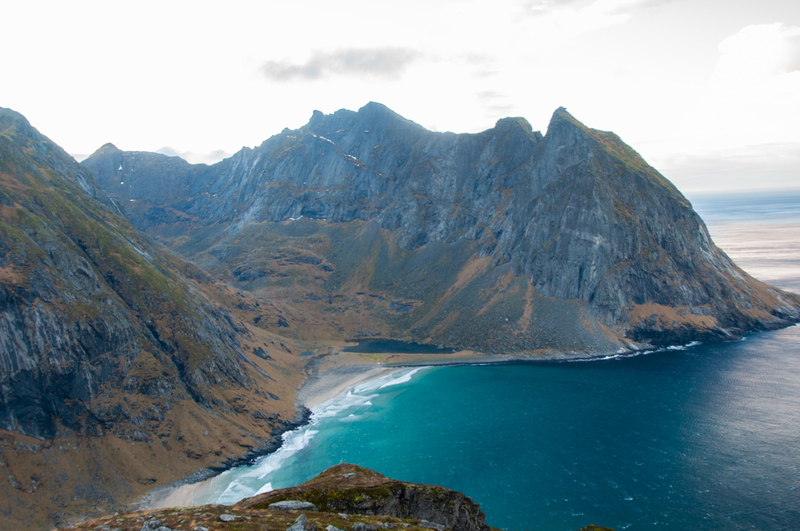 Hiking in Lofoten is really famous, because of this people might be afraid of it being too touristic. But, speaking from my own experience, I can tell: this is definitely not the case. On our way to the famous Kvalvika beach, we met five people in total. Instead of a real car park or a built street up the mountain, like on the famous Trolltunga hike, it is actually hard to find the starting point. Only a little wooden shield leads to a random field next to the street. A local offered some of his own property for public use to park your car. OLD. 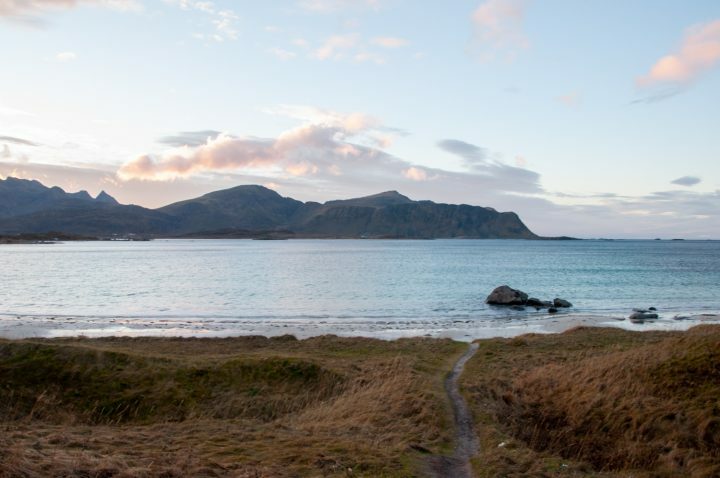 Even though we didn’t see many people on our way, there is evidence of human settlement extending back at least 11,000 years in Lofoten (source: wiki). There is actually a general focus on Lofoten to not become too touristic. 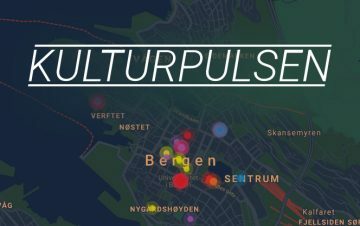 I spoke to a number of people, asking them about the fear of Lofoten being crowded with tourists. 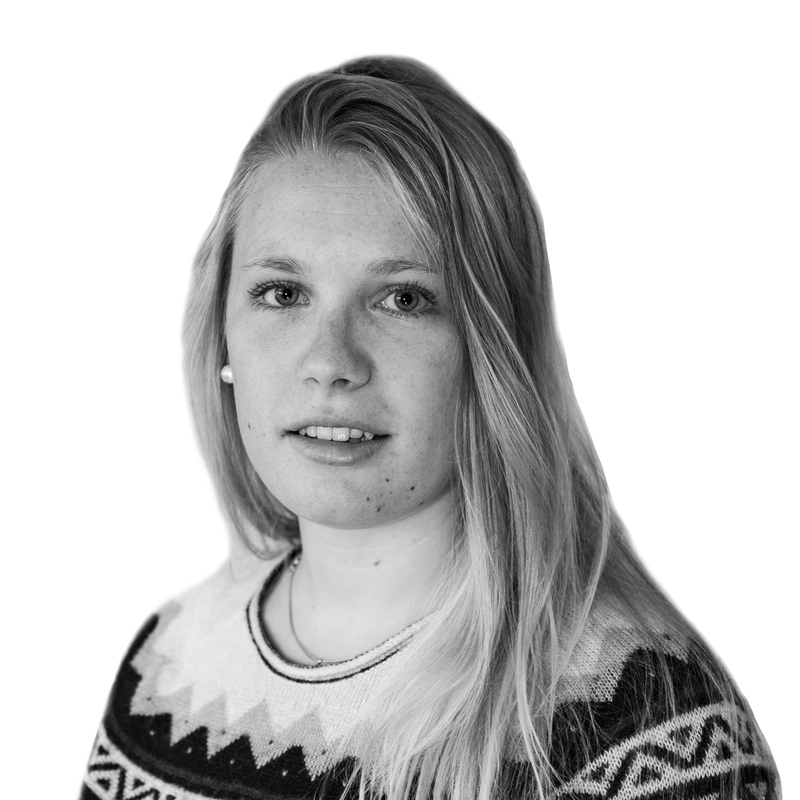 One of them, Elizabeth Dreyer from Destination Lofoten AS, says that it is important that the locals can keep living how they want to without being restricted, but the lack of tourism makes many of the inns and cafes empty. — Only 50% of the hotel beds are used, she said. Josefina Vidal who is living on Lofoten since four years now, confirms that. 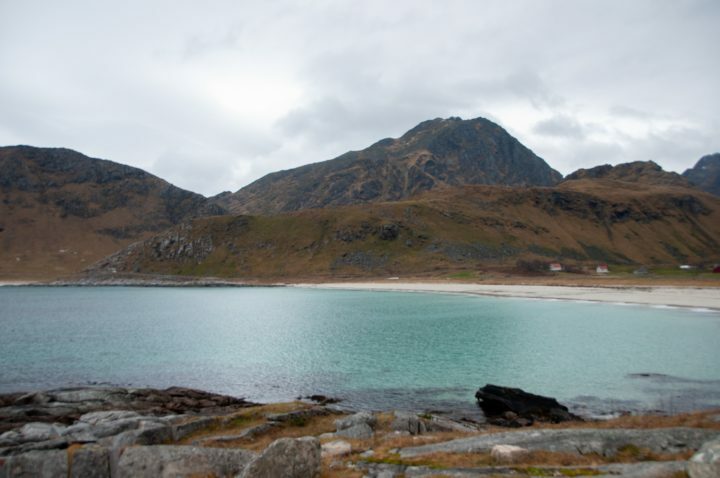 — I don’t think that Lofoten are overrun by tourists. In the last years you can tell that there are more people coming, but it’s not a problem yet, she says. Emelia Nordlund, who works in a Cafe in Henningsvær (where we spent an afternoon to have a bit of a change after days in the car) told us that she has seen tourists who stopped on the road and as the houses are so close, they took pictures into the windows. — I think this can be a little bit annoying. Its weird because it’s private and people are actually living there. TRAVEL. 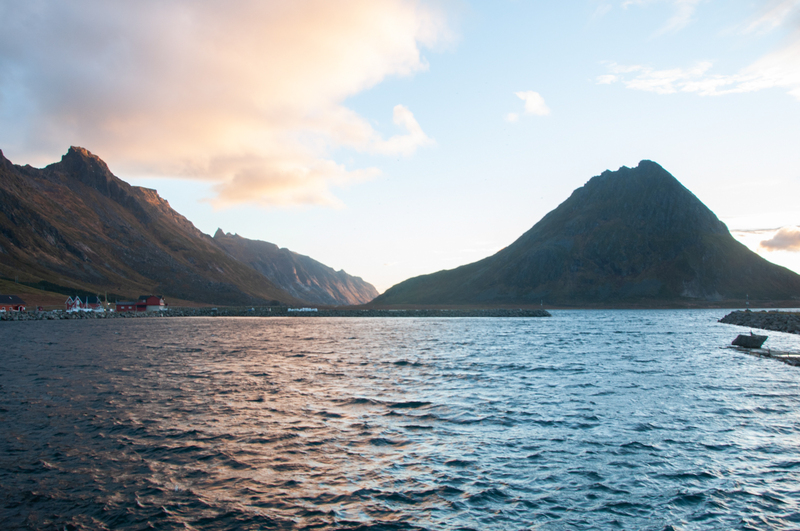 It is a long ride from Bergen to Lofoten, but seeing it made one feel like one truly had experienced Norway. Nordlund from the cafe still thinks that the locals who are having their businesses in Lofoten are appreciating the tourists who are coming. Dreyer mentions this point as well. — Many shops and restaurants wouldn’t be doing that good if we didn’t have tourists. In this aspect they’re very important. As you expect it from the Norwegians, most of them wouldn’t come up to talk to you, but whenever we got lost in the middle of nowhere and asked for directions, everyone was really helpful. In general, it was empty on the track which gives the whole place even more of a wild spirit. There was nothing there other than high mountains and the clear sea around you. Now and then you saw people walking on the street. Not tourists, just people on their way to work or back. PEACEFUL. Don’t we all look for a little escape of our networked life, in which we are available 24/7, now and then?. Nordlund also explained that the amount of people often depends on the season. During the fall and winter season there are especially few people coming to see the famous attraction. In the summer there are people coming in regularly, but surprisingly not even at this season can Lofoten be called ‘crowded’. Many people might think that travelling in autumn or winter might not be worth it because of the short days, and therefore not think it’s worth their time. But one advantage of a late sunrise and an early sunset is: you have a pinkish sky all day. And have you really been to Norway if you haven’t experienced these short winter days?